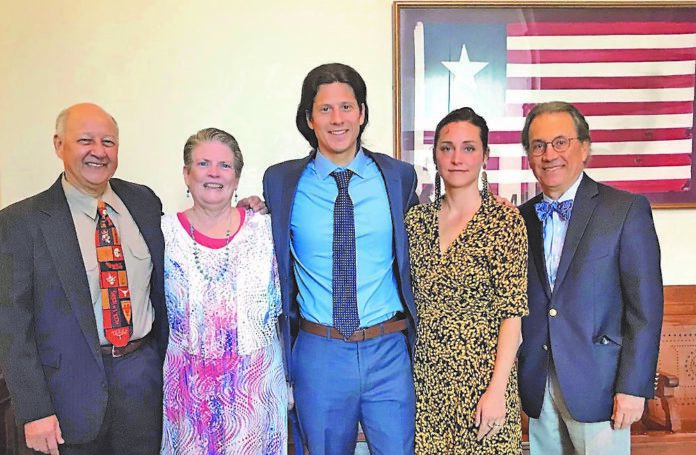 Rio Grande Valley native and filmmaker David Blue Garcia was acknowledged Thursday with a Texas State House of Representatives resolution honoring his award-winning, independent film, “Tejano,” which was shot locally. Films with budgets under $250,000 are overlooked because it’s believed they wouldn’t create a large economic impact, Garcia said, but argued that isn’t the case. “In promoting our Texas film industry, let’s not forget to support our own home grown, independent film producers, directors, actors and technicians,” said state Rep. Celia Israel in a release. Because other states offer better economic incentives than Texas, even films set in the states are often not shot here. “That happens all the time,” Garcia said, adding how 2016’s “Hell Or High Water” was shot in New Mexico and the upcoming John Lee Hancock film “The Highwaymen,” about two Texas Rangers, was shot in Louisiana. At SXSW this year, Hancock said he and Sandra Bullock wanted to film “The Blind Side” in Austin, but it made more financial sense to shoot in Georgia. “I had to look out for the movie,” he told CBS Austin. Garcia said he wished Texas legislators would revisit the tax incentive program. “Tejano” will screen at the Texas State Capitol Auditorium annex on Friday followed by a Q&A with Garcia and actor Hector Uribe, who is a former state senator. The film is set for a March 26 digital release on iTunes. “Tejano” has screened around the world and won awards from the Dallas International Film Festival, Houston Film Critics Society, El Paso Film Festival, South Texas International Film Festival, CineSol Film Festival and more. The film is about a man that turns to the cartel for money when his grandfather becomes ill. He’s previously described the Valley as a character in the film, and uses picturesque landscapes with sweeping aerial footage. “I wanted to tell a story using talented Texas cast and crew that was filmed in the Valley, where I was born and raised,” Garcia said in a release. Garcia is a commercial cinematographer and director in Austin and graduated from the University of Texas. “I hope to continue to tell stories from the rich and diverse regions of our great state of Texas,” he said.